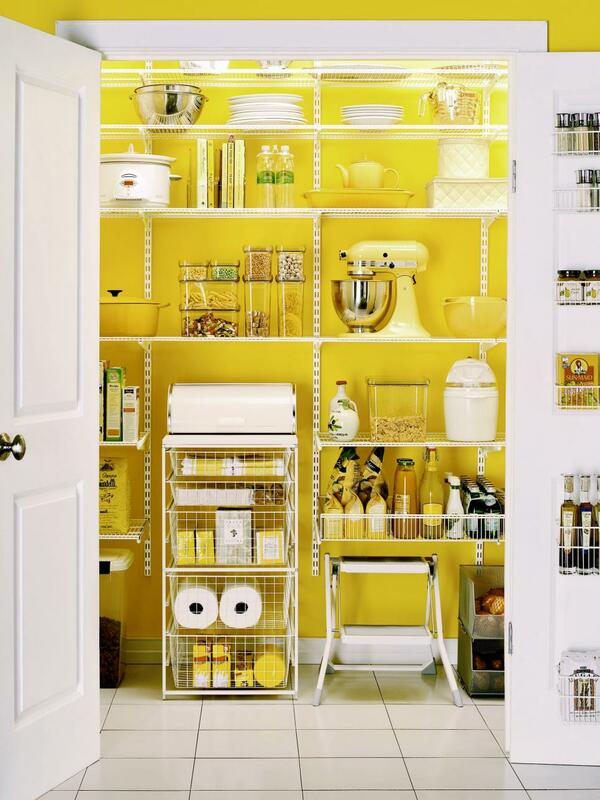 Set an energetic mood in your kitchen with a lively color in your pantry. 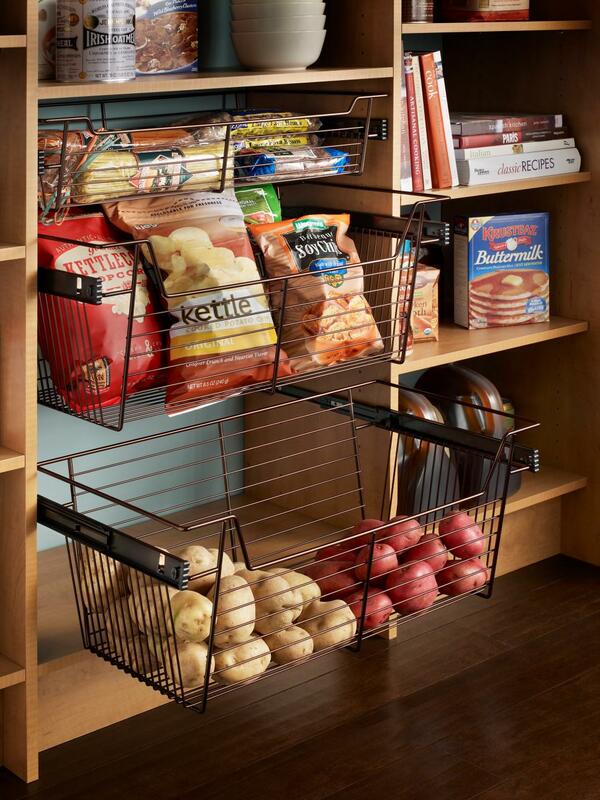 Wire baskets can be used for easy access to potatoes and other long-lasting produce. 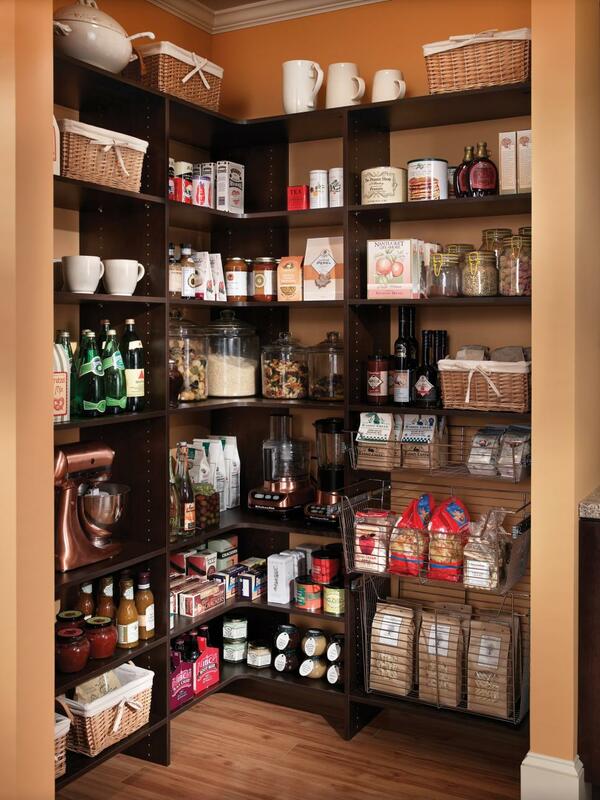 An attractive, well-organized pantry space can serve double duty as both storage and a display area. Pullout shelving grants easier access to items stored on the back of the shelf. 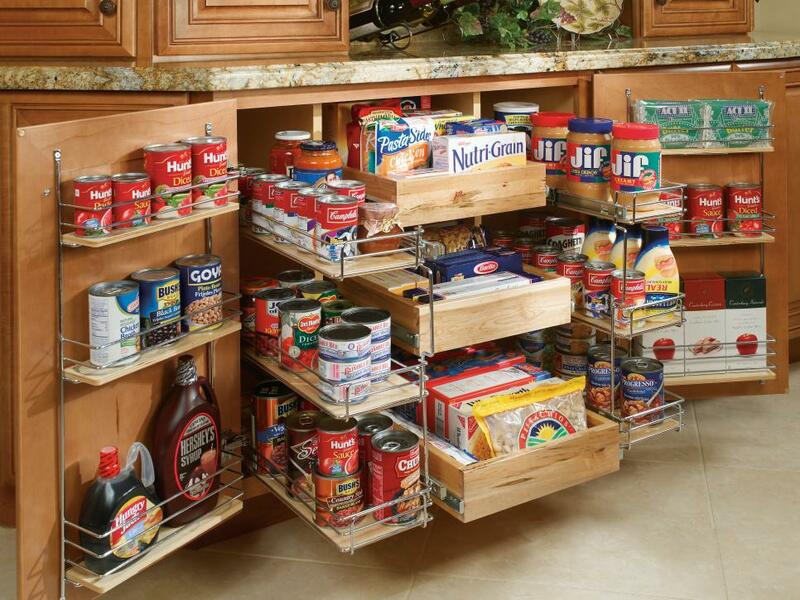 Shelves can also be attached to cabinet doors for maximum storage efficiency.